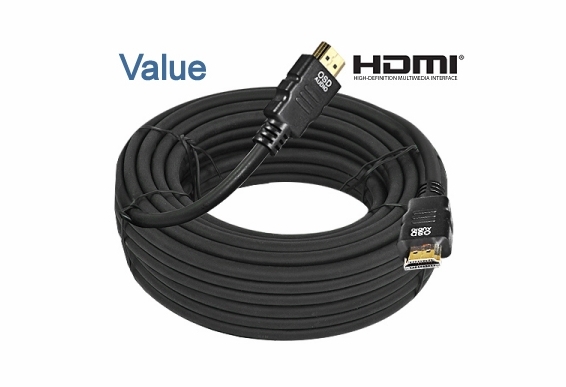 This 75-foot HDMI® (High Definition Multimedia Interface) cable is an excellent value for a long cable run. 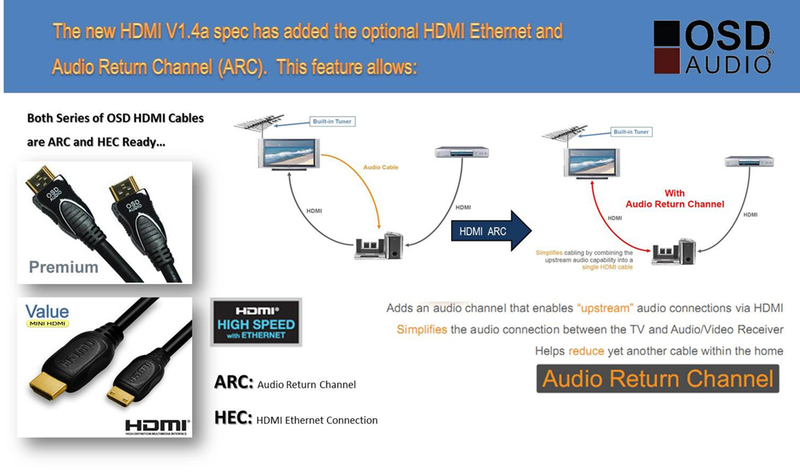 Like all OSD Audio HDMI® cables, this is the most up-to-date version and supports the latest video formats such as 3D and 1440p. There’s a lot of misconception out there about HDMI® cables. 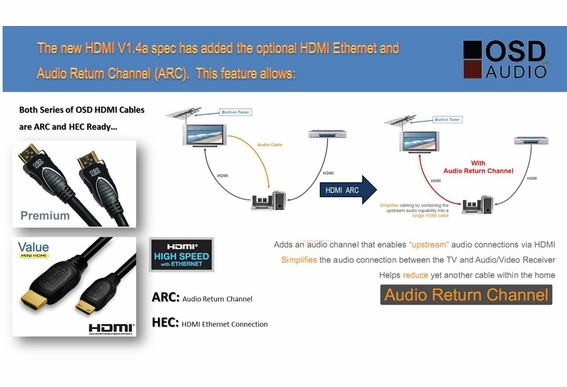 To be labeled High Speed with Ethernet, all HDMI® cables, regardless of the price, must meet rigorous testing parameters. All OSD HDMI® cables transmit frequencies up to 10GHZ bps and transmit high quality multi-channel audio data. 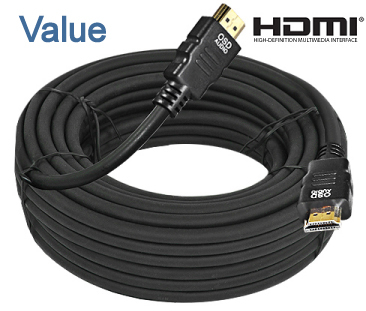 HDMI® is remarkably fast but keep in mind that run longer than 40 may require an extender.